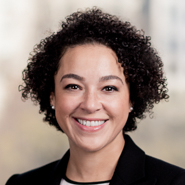 Principals Stacey Halliday (Washington, DC) and Lauren Hopkins (San Francisco) will participate in a webinar hosted by the American Bar Association's Section of Environment, Energy, and Resources (SEER) as a moderator and speaker, respectively. The webinar is titled "SEER Essentials: Best Practices for Corporate Sustainability" and will take place from 1:00pm to 2:30pm (EDT) on April 30. The program will provide strategic, business-focused advice insights to help legal, corporate, and EHS teams evaluate and avoid future risks in corporate sustainability. The panelists will consider mandatory disclosure requirements for sustainability-related information, risk profiles associated with disclosures (whether voluntary or mandatory), and tools and best practices regarding sustainability-related legal issues.